October 27, 2016. Daly, California. 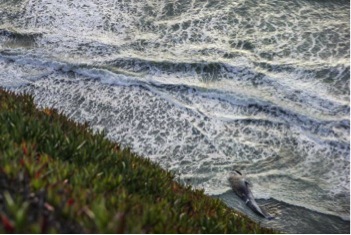 The male blue whale with skull fractures runs aground at the foot of the cliffs. 65 ft in length. October 26, 2016. Sao Paulo, Brazil : attempt to save a spotted dolphin grounded on the beach. October 26, 2016. 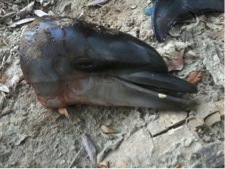 Alagoas, Brazil : one more Guiana dolphin stranded. 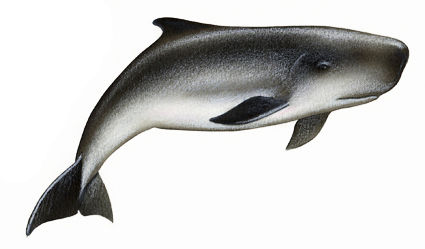 A very rare coastal and estuarine species, Appendix I CITES. October 22, 2016. 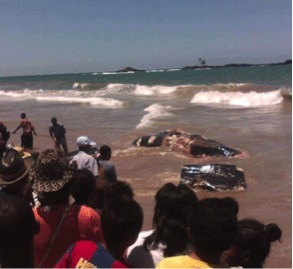 Madagascar : stranded of a whale calf. Species unknown. Cut up by villagers to eat the meat. Remains burnt. October 22, 2016. 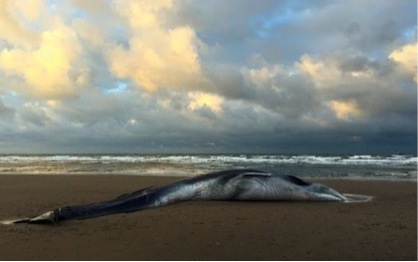 Hawaï : one female and pregnant dwarf sperm whale (2.10 m long) found dead on a beach. October 18-19, 2016 : 2 babies sperm whales, 5.80 and 7 m long, stranded along Florida and Louisiana coast. October. 2016. Normandy, France : beaked whale stranded in front of le Mont Saint-Michel. Highly vulnerable to acoustic disturbances. 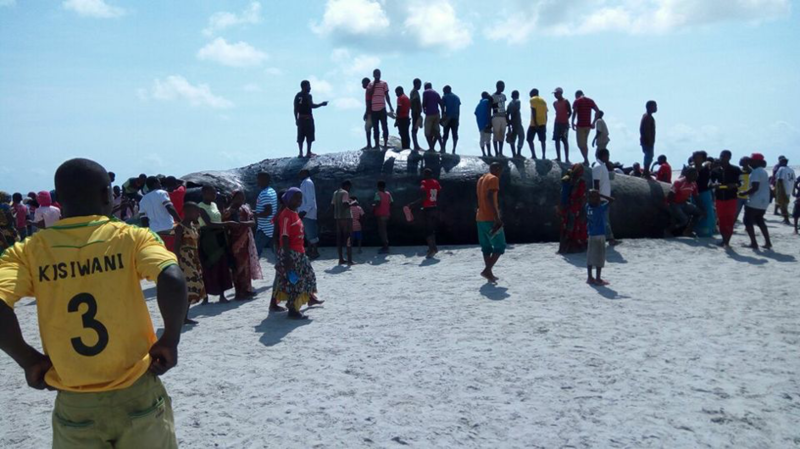 Mid-October 2016 : three sperm whales stranded along Kenya and Tanzania within 15 days.